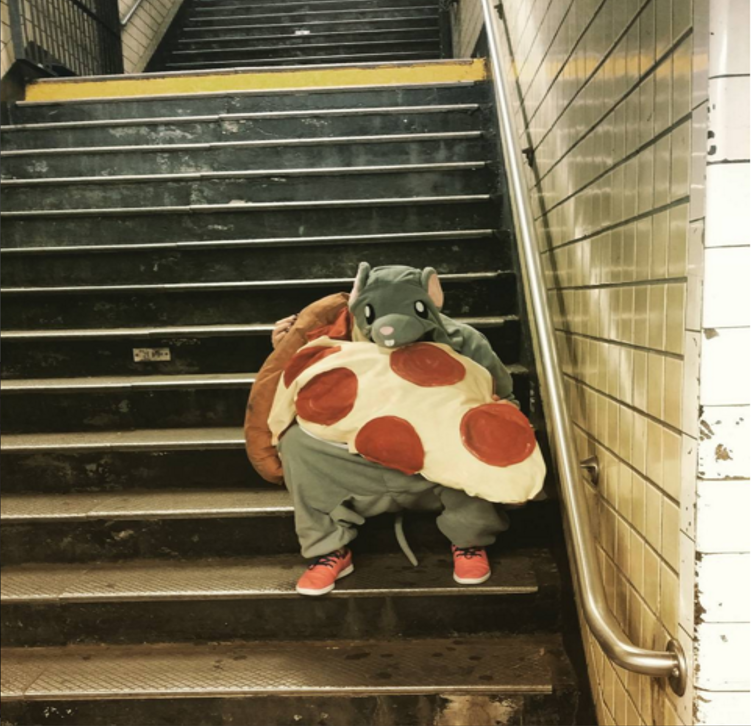 Arguably one of the biggest viral sensations of 2015 has been pizza rat — a 14 second YouTube clip of a furry creature doing everything in his (or her!) 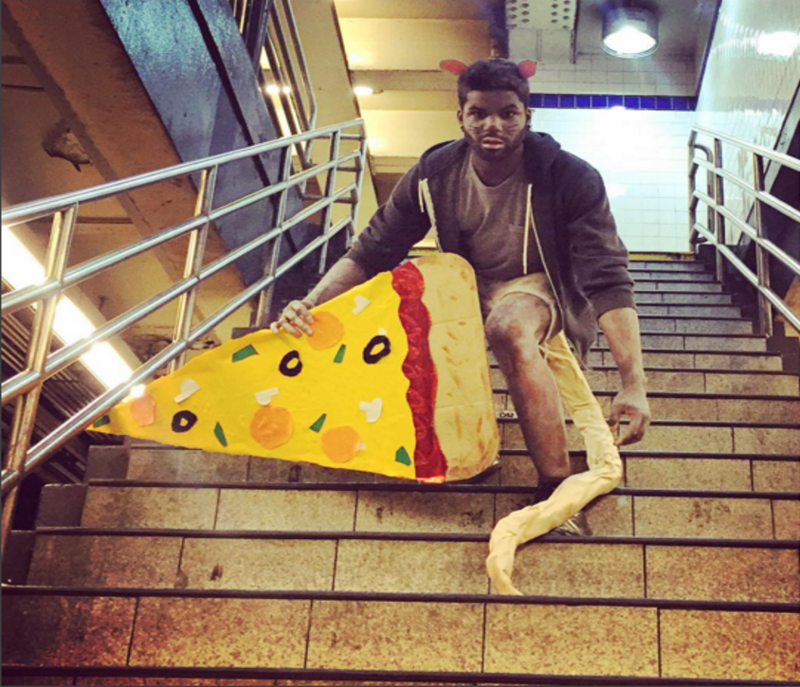 power to carry a fully intact slice of New York City pizza down the subway steps. 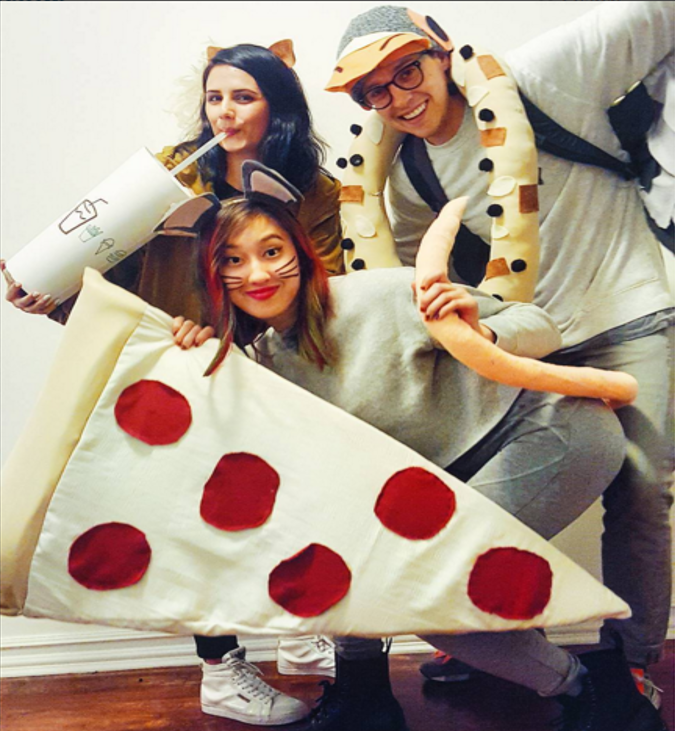 As has become a tradition in recent years, these types of trending internet hits are frequently transformed into popular Halloween costumes. 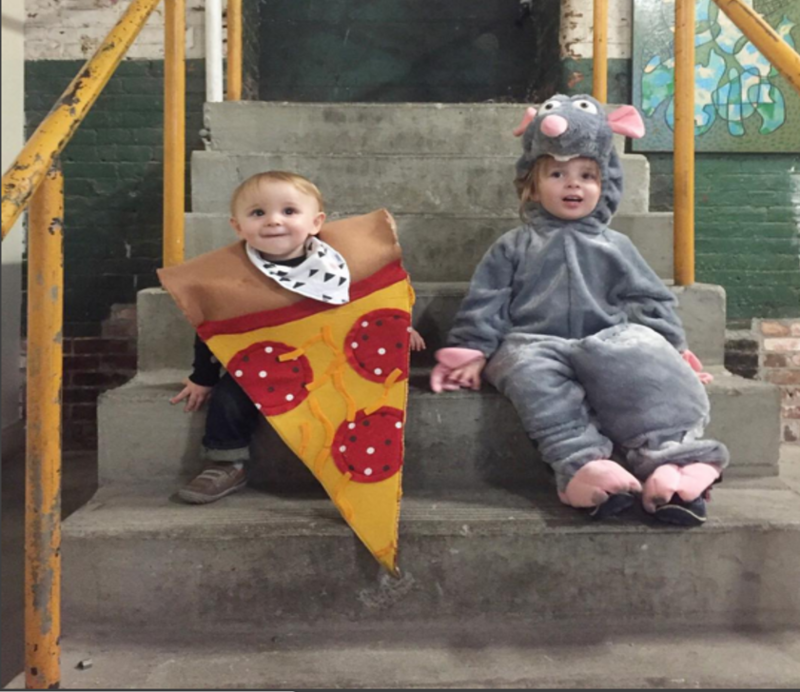 As a pizza blogger, I felt that it was my responsibility not only to dress up at pizza rat myself (more on that later), but to dig through the interwebs and assemble a list of some of my favorite pizza rat costumes. 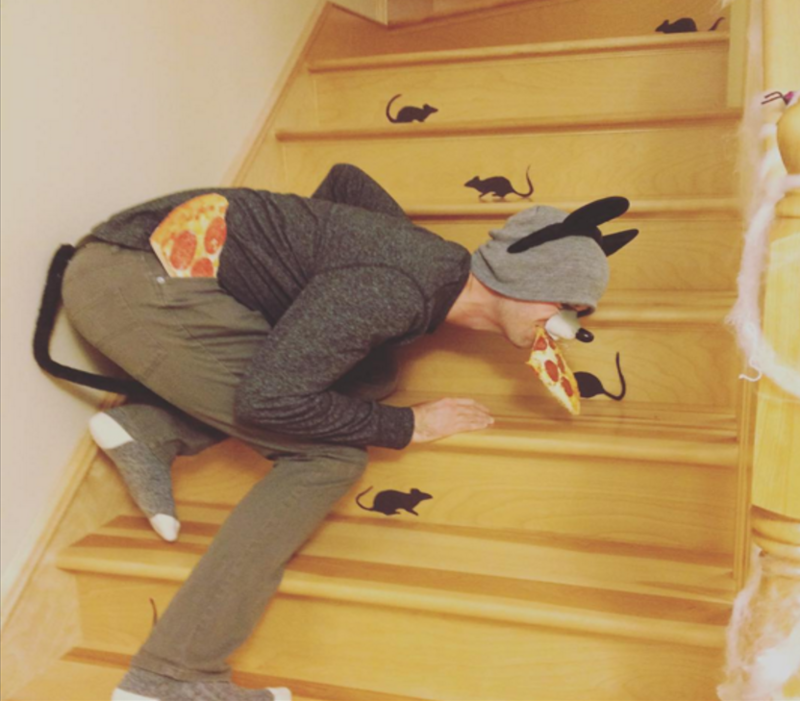 So without further ado… I present you with the definitive list of the top 10 pizza rat costumes of Halloween 2015. 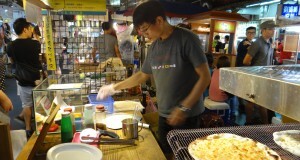 And for me? 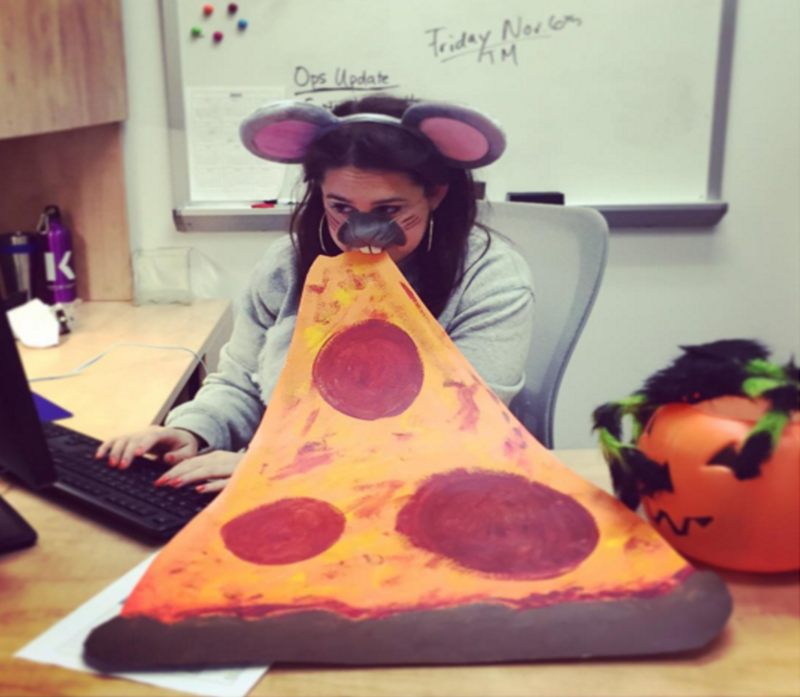 Well, as someone who spends an inordinate amount of time thinking, eating, and blogging about pizza — I knew it was my responsibility to do pizza rat proud this Halloween. 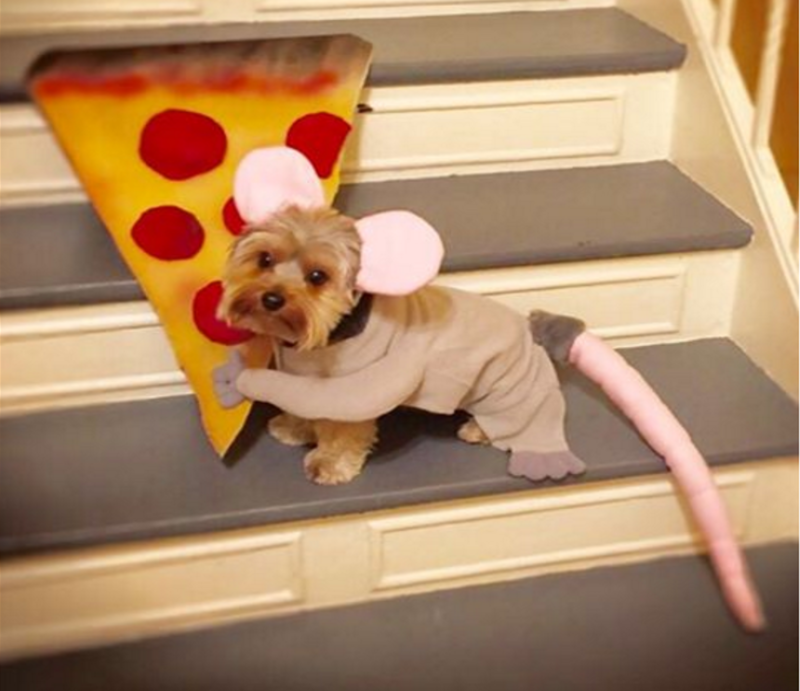 Part of what makes pizza rat so alluring, is the fact that this tiny creature is trying to carry a piece of food that is 2x-3x its size. 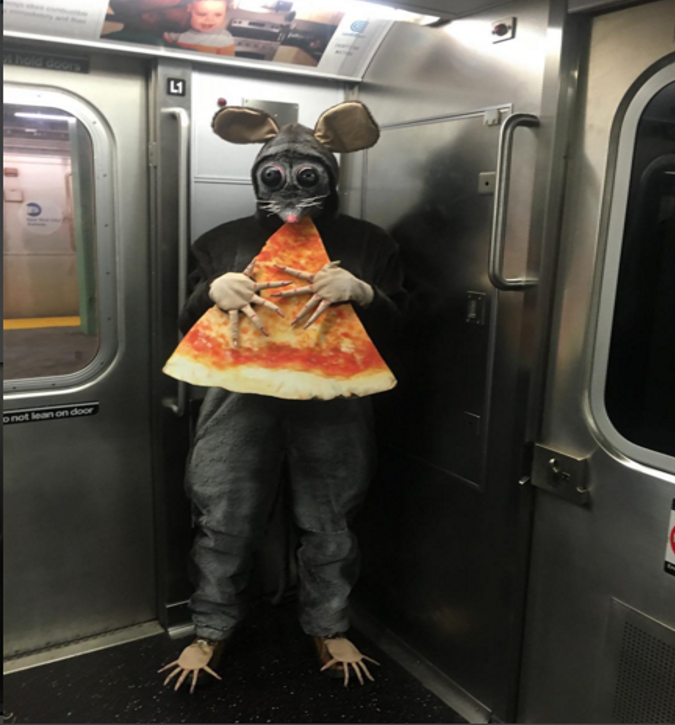 So I tried to stay somewhat true to form by finding the largest slice of pizza that I could conceivably carry around New York City and pair it the most life-like rat costume I could find. 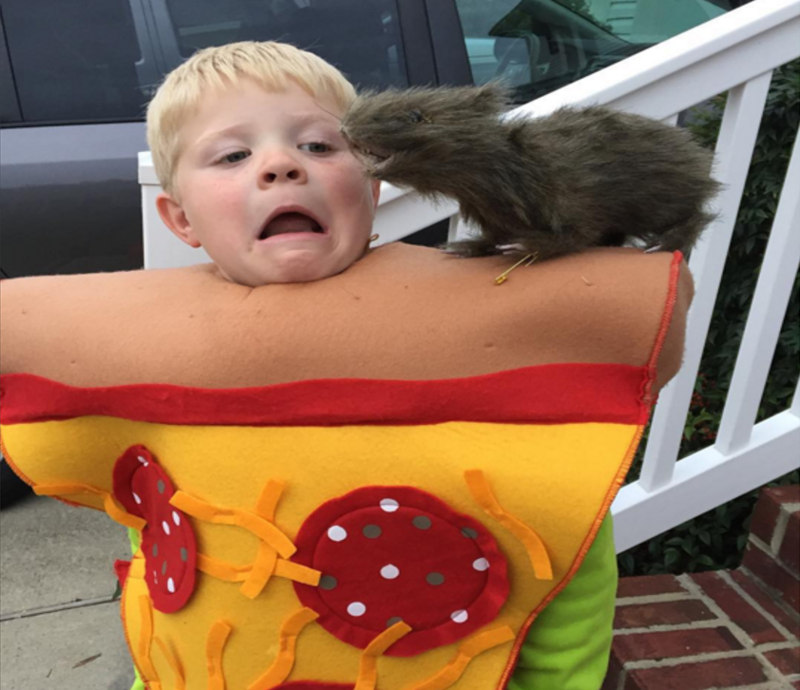 The result was a combination of this full body rat costume and human-size slice of pizza. 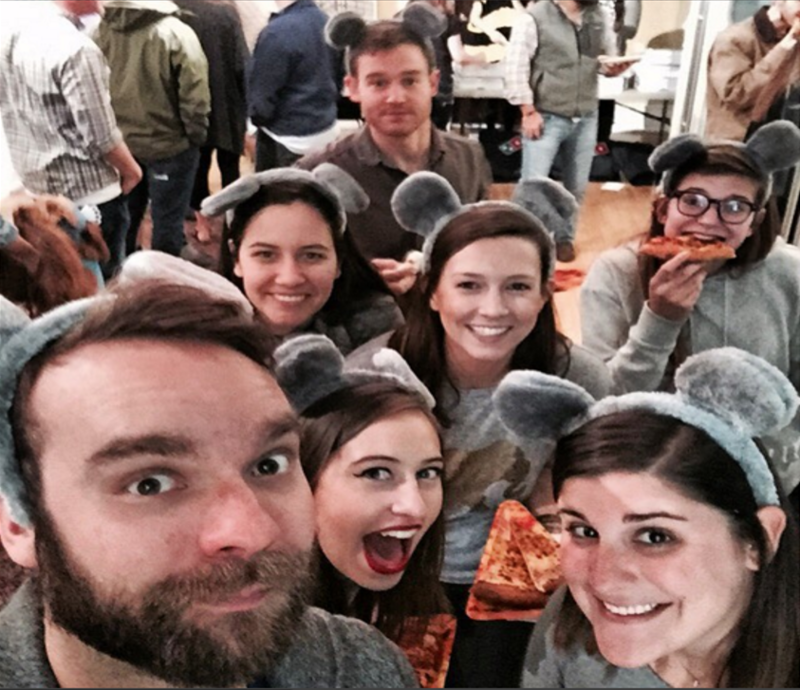 Although my costume probably wouldn’t make any “top 10” lists, I’d like to think it was a valiant effort. 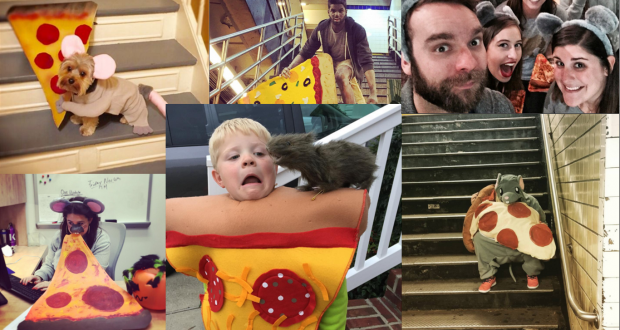 Nobody can predict what next year’s viral sensations will be. 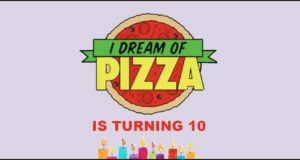 But we can hope and pray that at least some of them involve more pizza. 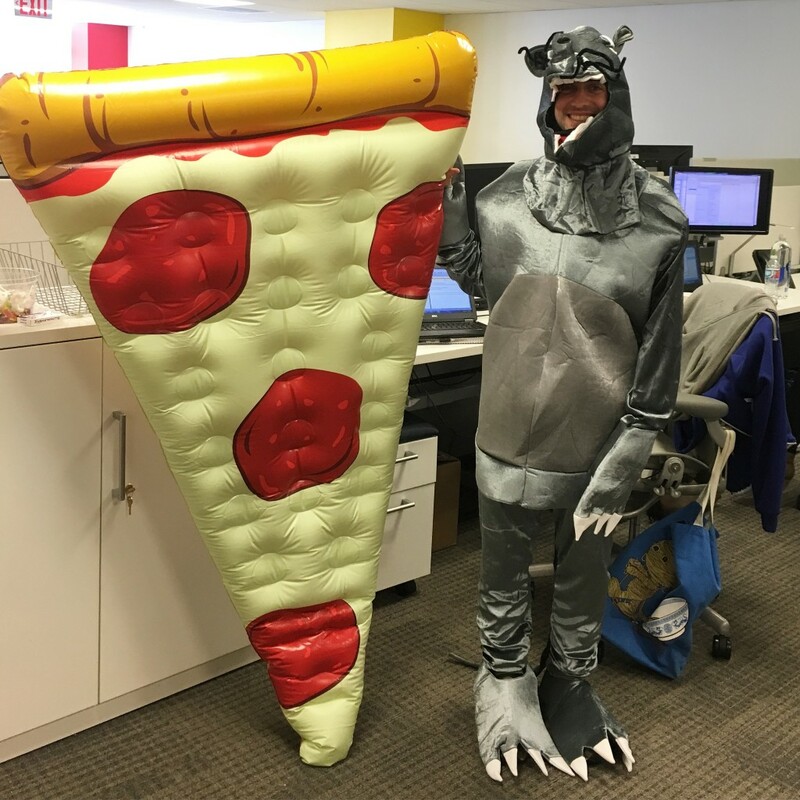 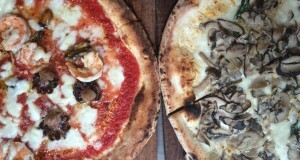 After all, I’d like to re-use the massive pizza I now own!